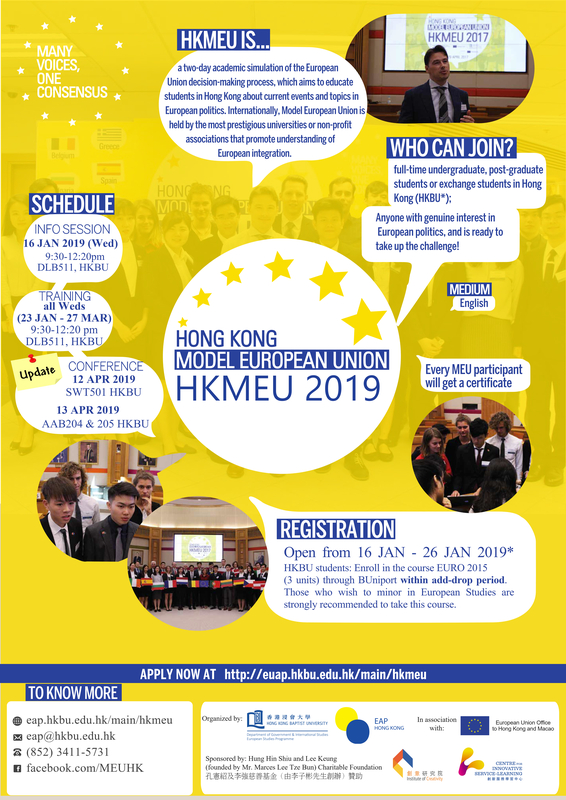 HKMEU 2019 will take place at SWT501, Shaw Tower, Shaw Campus and AAB203, 204 & 205, Academic and Administration Building, Baptist University Road Campus, Hong Kong Baptist University, Kowloon Tong respectively on 12 and 13 April 2019. 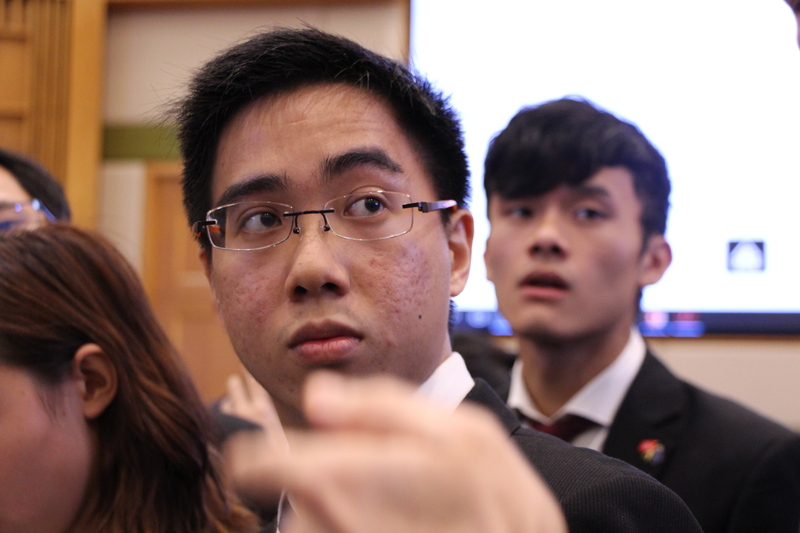 You are welcome to join and see the performances of our participants after 3 months of training. 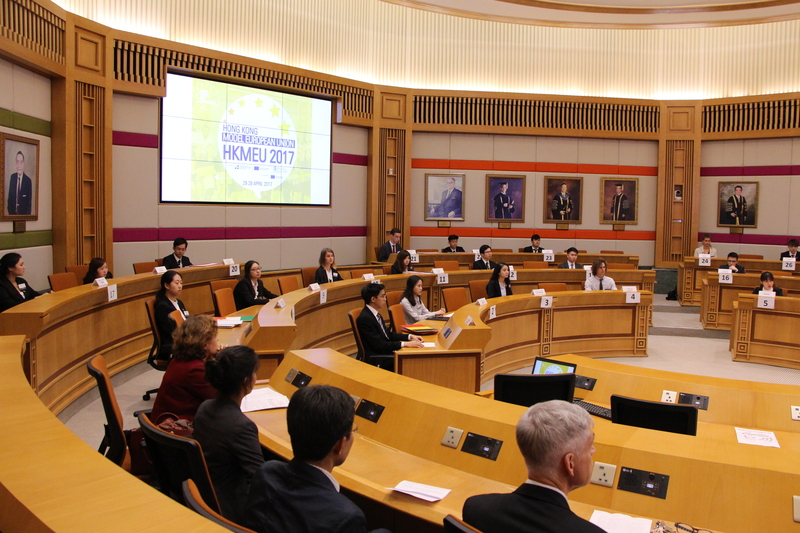 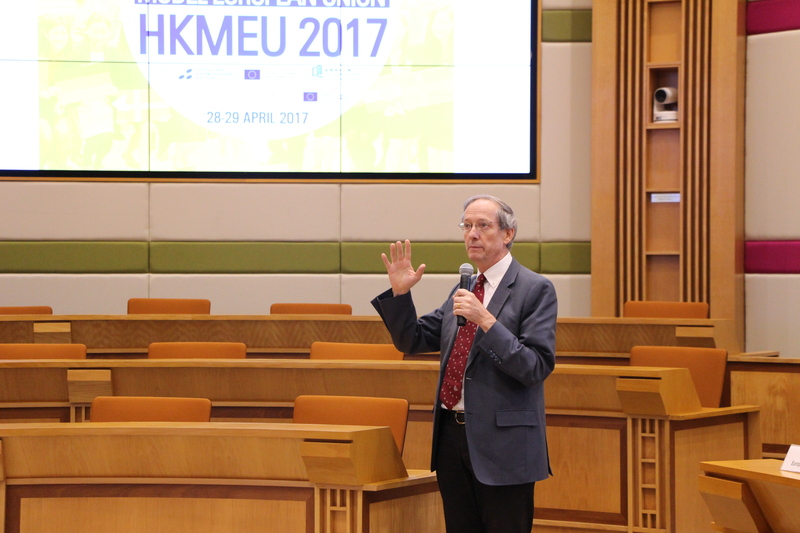 HKMEU 2018 will take place at Council Chamber, Shaw Tower (SWT501), Shaw Campus, Hong Kong Baptist University, Kowloon Tong on 27 and 28 April 2018. 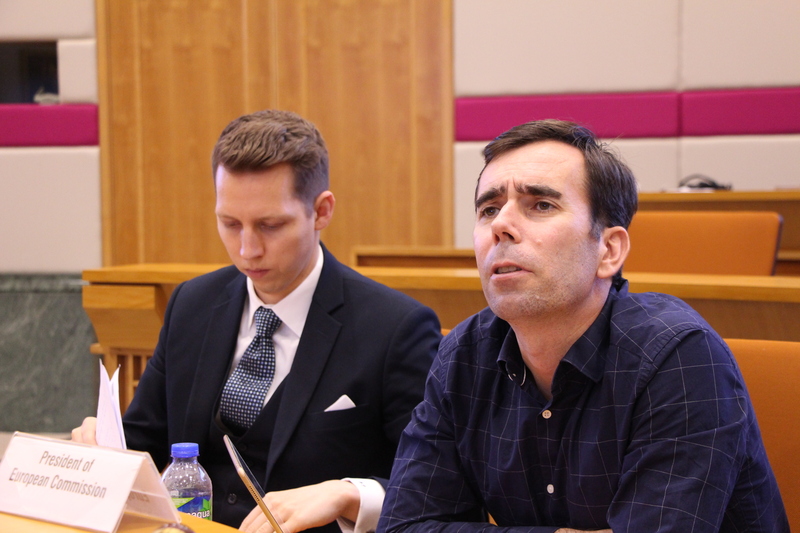 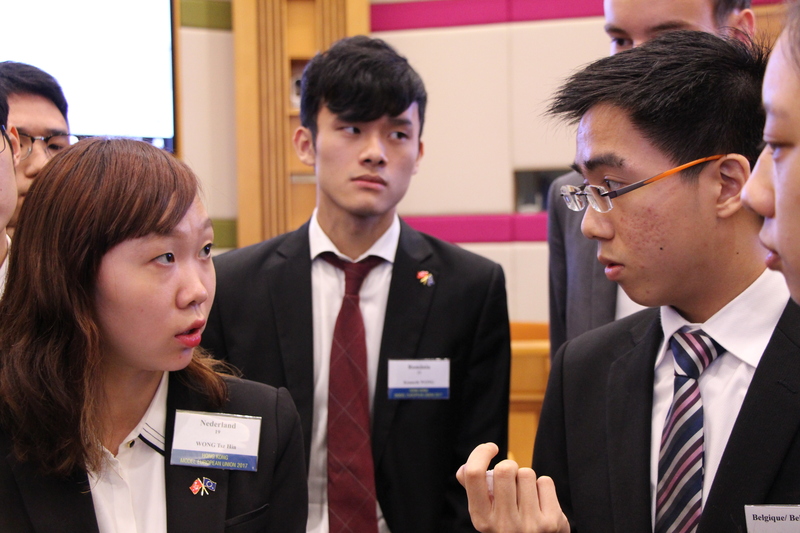 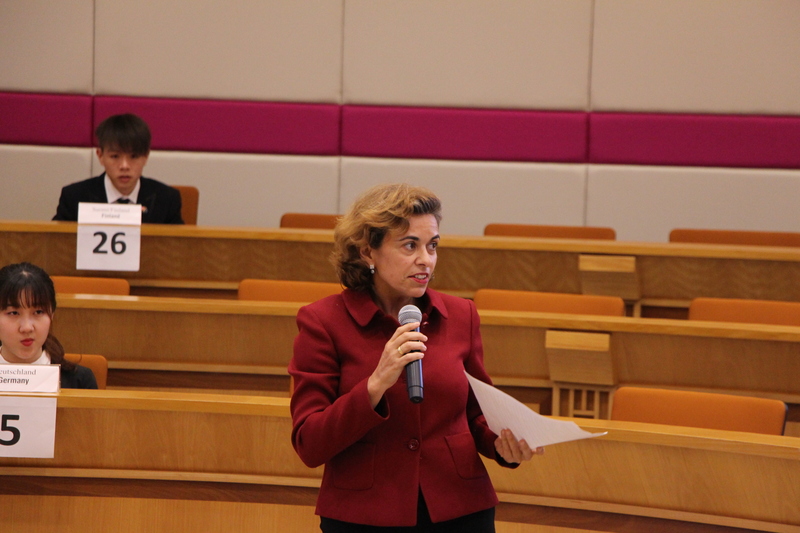 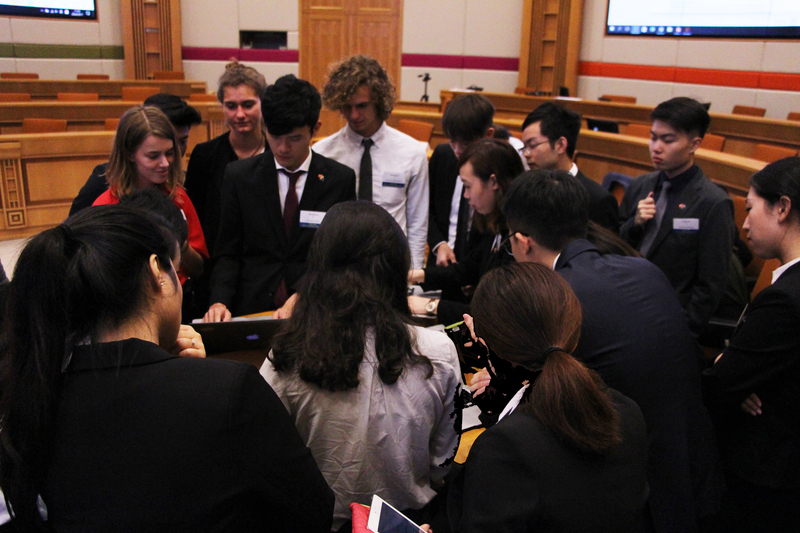 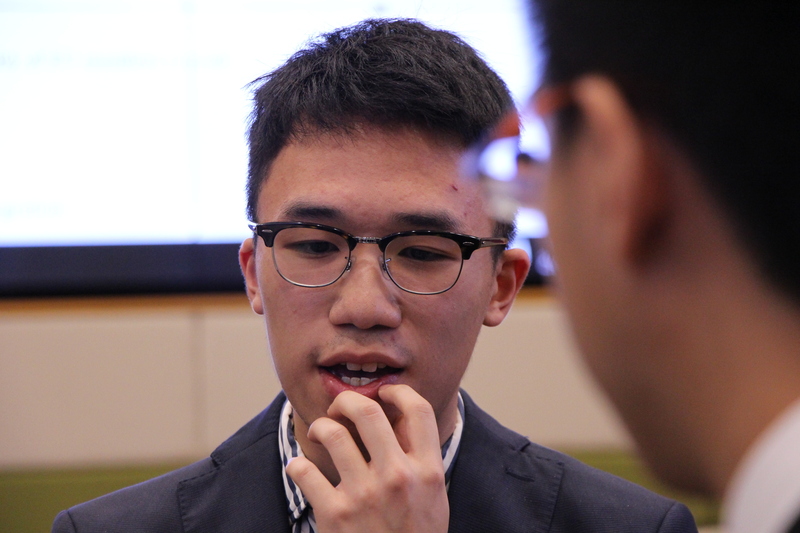 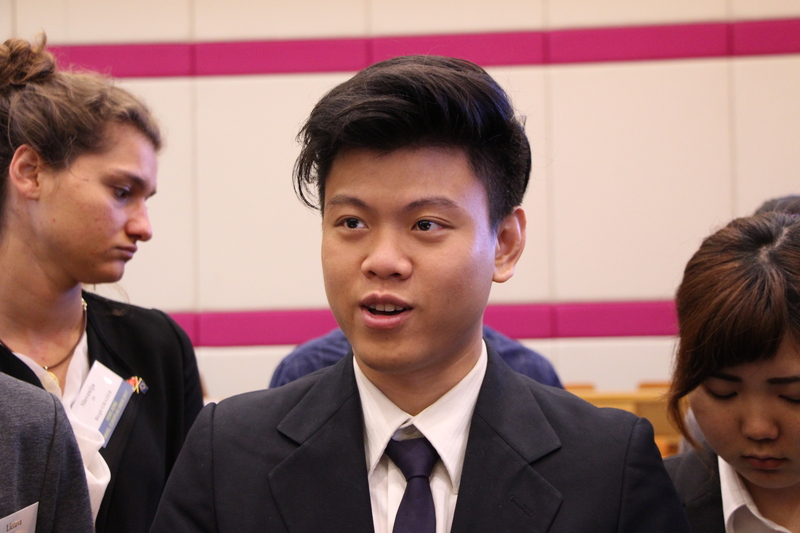 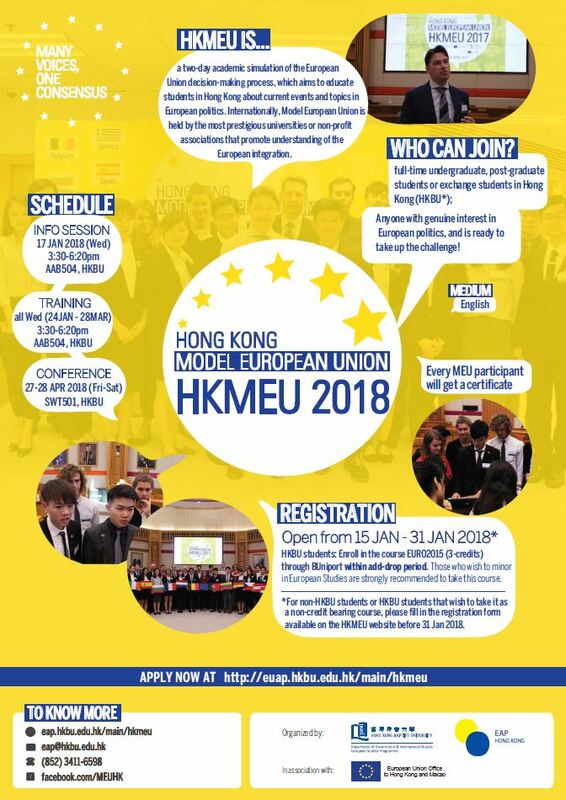 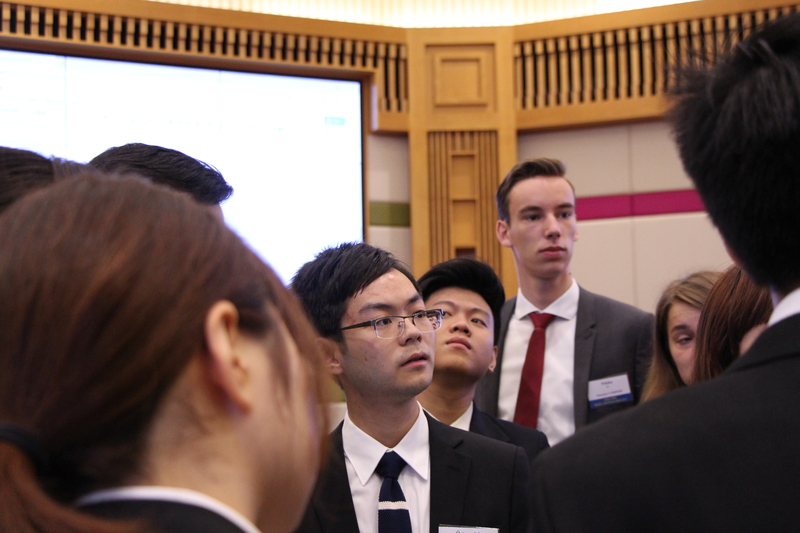 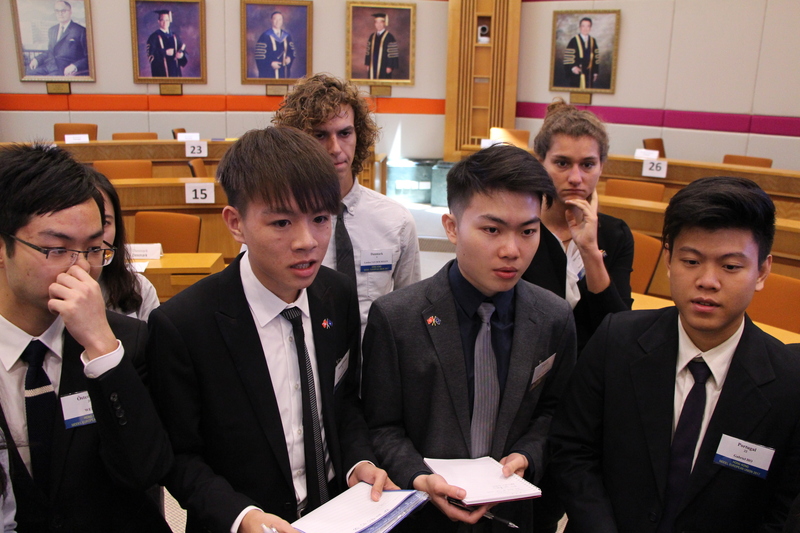 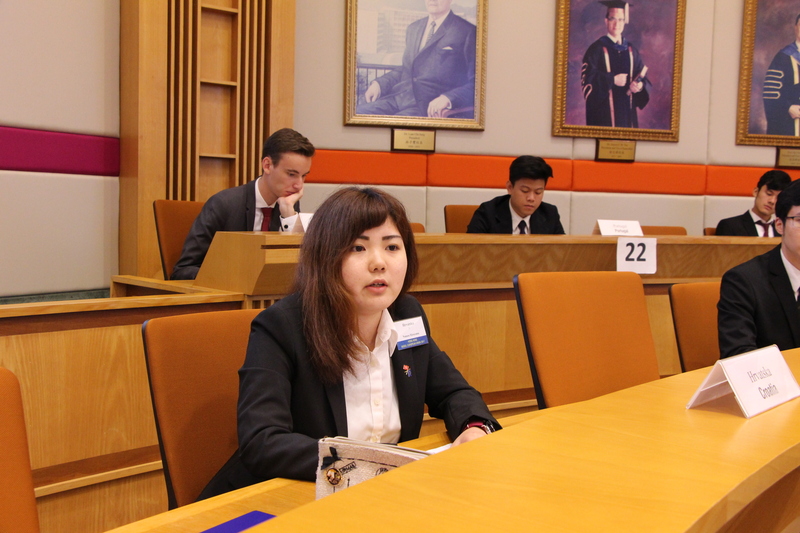 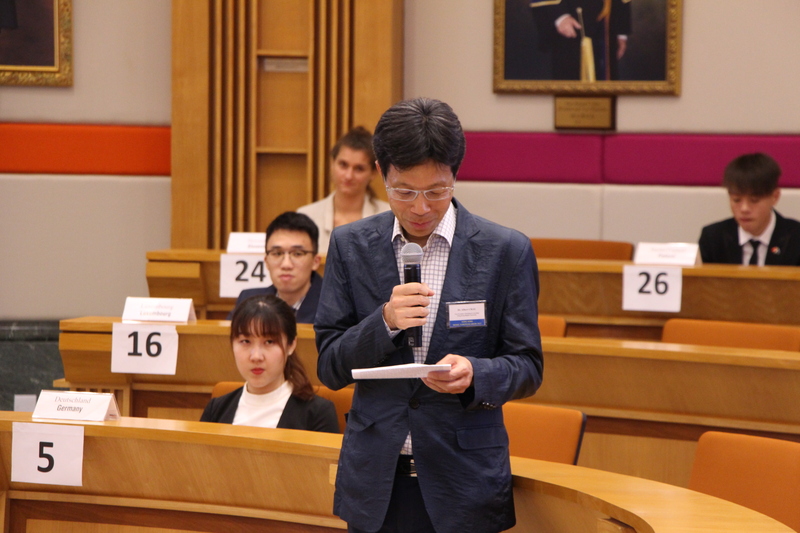 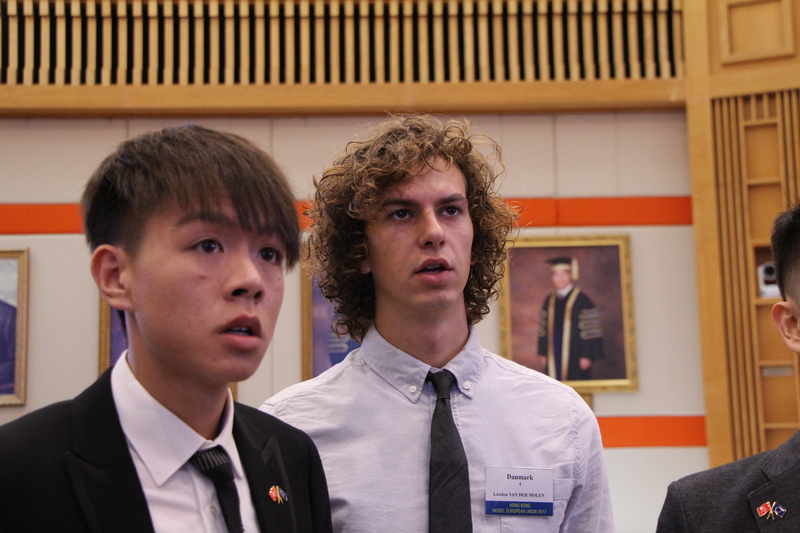 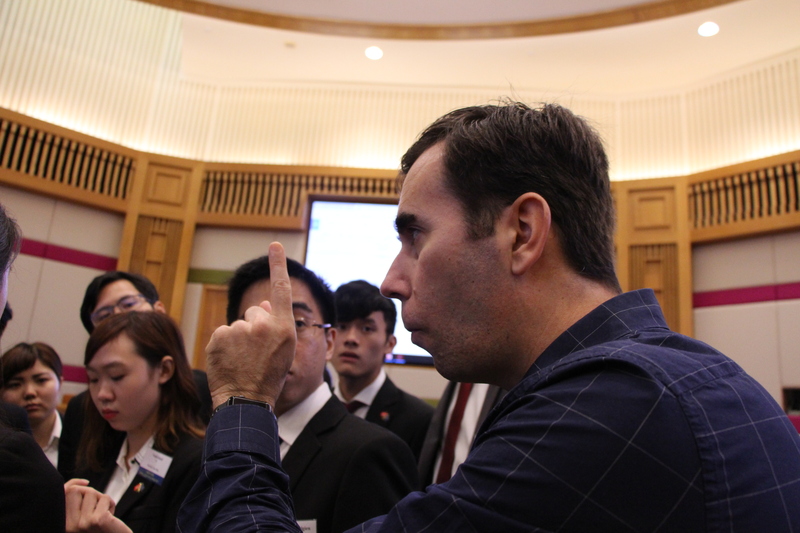 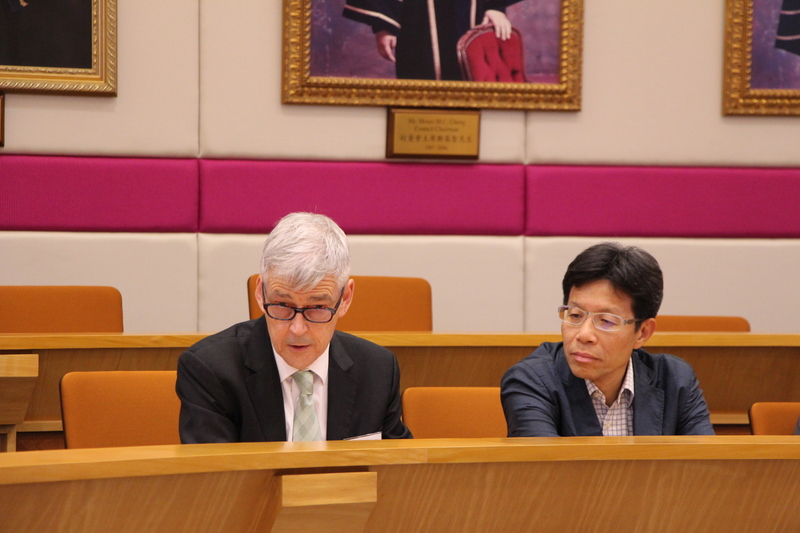 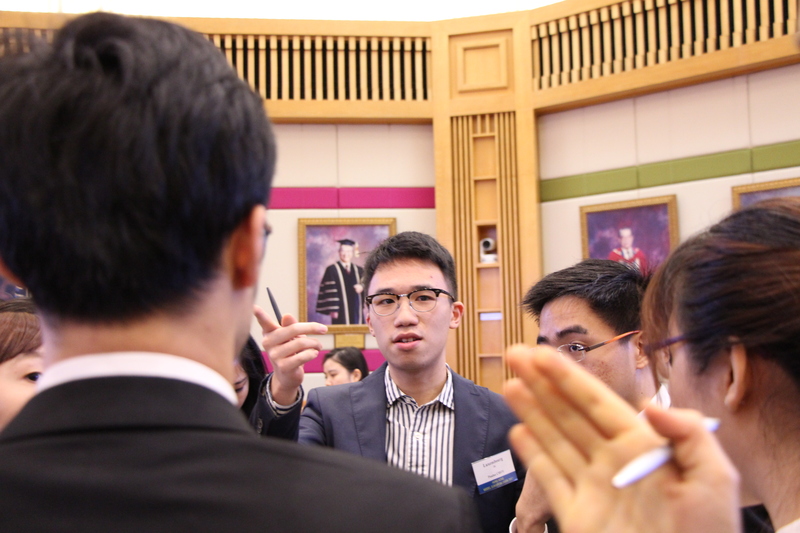 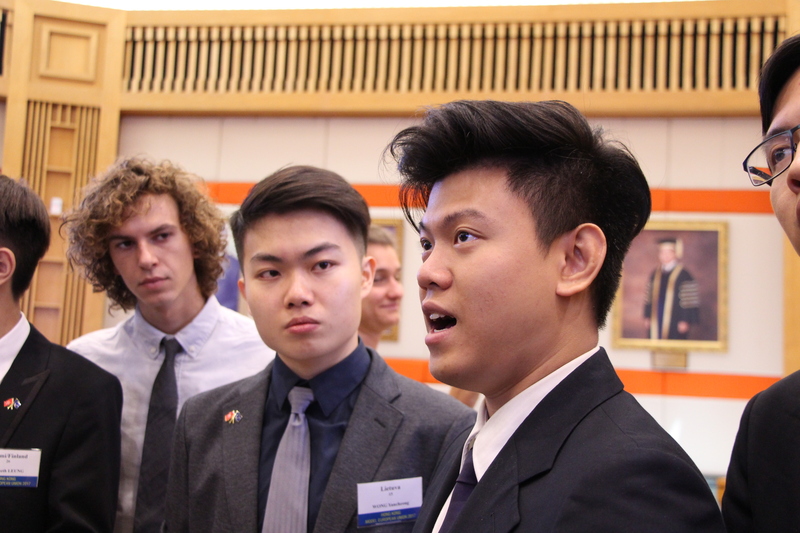 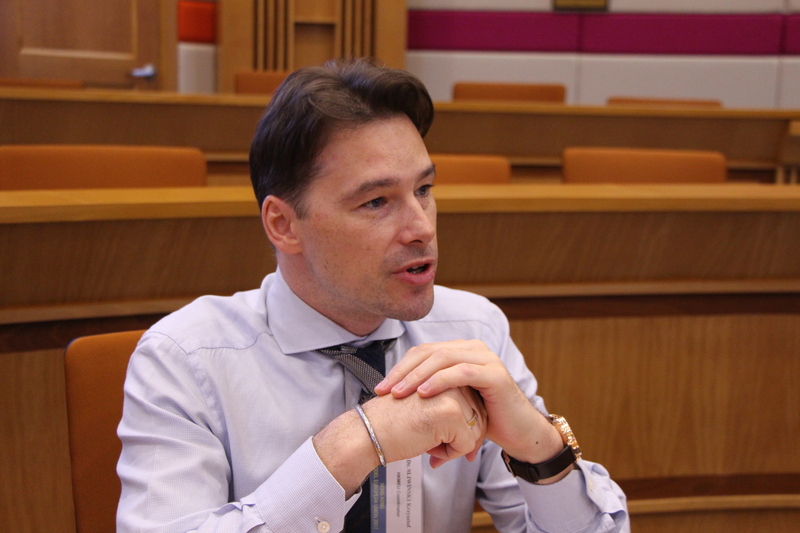 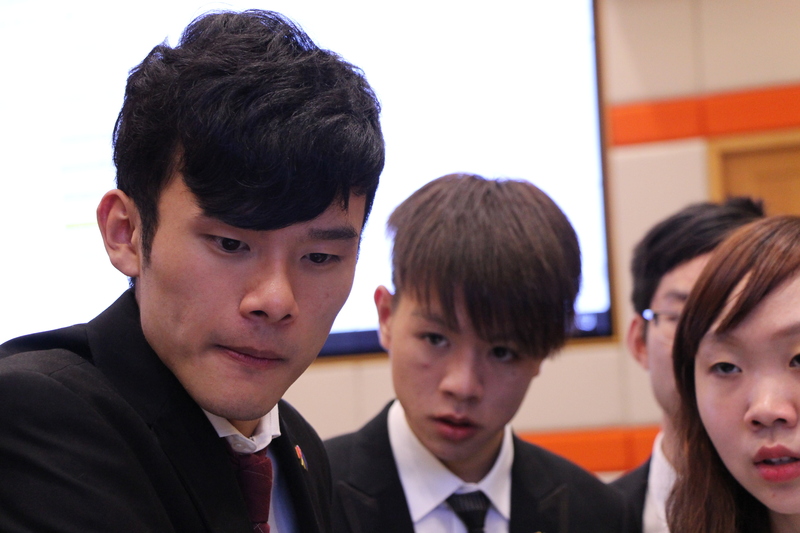 The Hong Kong Model European Union (HKMEU) is jointly organized by the Government and International Studies of the HKBU and the EUAP, in association with the Office of the European Union in Hong Kong and Macao. 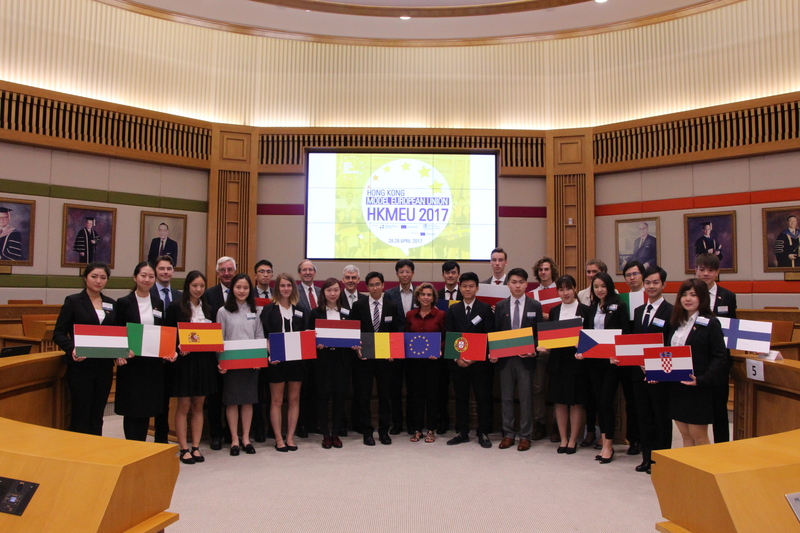 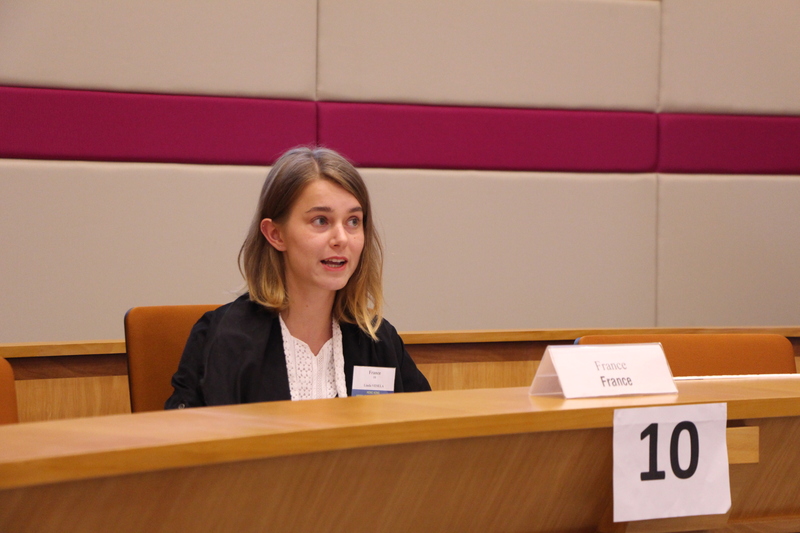 Our delegates in the Model European Union session tried to reach a consensus after a two-day conference themed The Future of Europe. 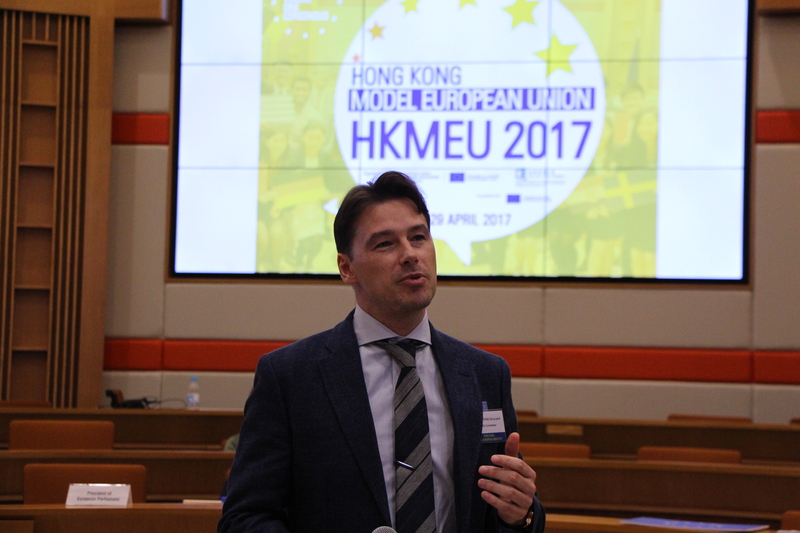 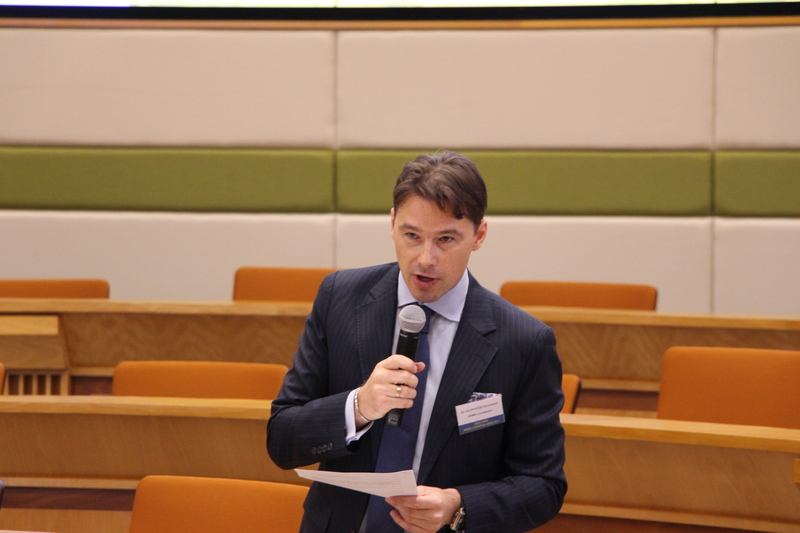 Awardees of HKMEU2017 was announced by Dr. Krzysztof Sliwinski.